Warner Bros. Interactive Entertainment and DC Entertainment today announced that Batman™: Arkham VR is coming to HTC VIVE™ and Oculus Rift beginning on the 25th of April. Currently available for PlayStation®VR, Rocksteady Studios’ Batman™: Arkham VR is a top-selling, BAFTA nominated virtual reality experience that takes place in the critically acclaimed Batman™: Arkham canon and is based on DC’s core Batman license. Batman™: Arkham VR is the first virtual reality experience to immerse players into the Dark Knight’s universe, putting them inside the Batman’s™ cowl like never before. PC players with HTC Vive and Oculus Rift hardware will now have the opportunity to experience Gotham City through the eyes of the World’s Greatest Detective, and delve deep into a tense Batman™: Arkham mystery. 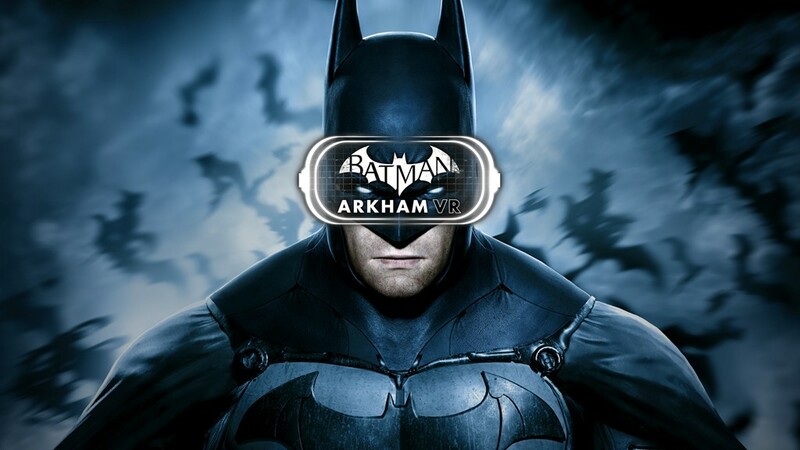 Players will enter a virtual reality world where they must think like Batman™ and utilize his legendary gadgets, unravelling a plot that threatens the lives of his closest allies. For more information or to join the Batman: Arkham VR conversation, please visit www.batmanarkhamvr.com or find us @BatmanArkham on Facebook, Twitter and Instagram.